Xbox Music for Windows Phone has been updated to version 2.5.3884.0 for Windows Phone 8 devices. The update brings audio scrubbing, UI fixes, bug fixes and other improvements to the music app for Windows Phone users. You can download the update directly on your device through the Windows Phone Store. You can also download the update and find out whats new after the break. Audio scrubbing is now supported! Slide the track progress indicator in the Now Playing screen to advance to the spot you like. Smoother FFW and REW animations. UI fixes to improve visibility of content. Bug fixed where songs are incorrectly removed from playlists. Fixes for unexpected app exits. Continued focus on stability and performance improvements. Initial sync of local and cloud content happens in the background. Usability improvements in Now Playing screen. Support for greater than 100 songs in Now Playing queue. Faster loading of long lists. Swipe gesture to advance songs on Now Playing screen. Design and layout changes to get you to your content faster. 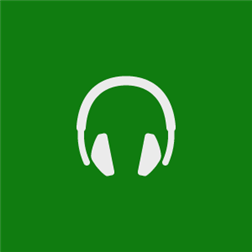 Leave us a comment and let us know what you think about this newest version and which features you are looking forward to the most from the next version of Xbox Music for Windows Phone.